All of the massage therapists at Holistic Lakewood are licensed by the State Medical Board of Ohio. We are specially trained in providing therapeutic massage through various means. People seek massage therapy for a variety of reasons – to reduce stress and anxiety, relax muscles, rehabilitate injuries, reduce pain, and promote overall health and wellness. There are dozens of types of massage therapy methods (also called modalities). We have training in many of these “modalities” such as Swedish massage, trigg a r point therapy, PNF (facilitated stretching), MET (muscle energy technique), deep tissue, wave mobilization, positional release, myofascial release, to name a few. When you come in for a massage, you’ll discuss your goals for the session with your massage therapist and they will use one or more techniques to tailor the session to meet your needs. A note about deep tissue work: Yes, we can use deep pressure on you. However, we don’t think it is always the best way to achieve relaxed muscles. Muscles are designed not only to move the body but to protect it as well. Working too deeply on muscles can make them resistant to release. Talk to your massage therapist about deep work, and how they can best help your particular issues. Prenatal massage is massage therapy that is specially tailored for pregnant women. It differs from a regular massage in various ways and is performed by massage therapists trained to tailor the massage to the changing body of a woman as she goes through pregnancy. Special bolstering and positioning are used to make our pregnant clients comfortable. Prenatal massage is safe at all stages of pregnancy, from 1st trimester to 2 weeks overdue and uncomfortable! Postnatal massage takes into consideration the special needs of a woman after the birth of a child. The body slowly recovers from pregnancy and childbirth (and, possibly, a C-section) and special bolstering may still be warranted. Holding and nursing an infant puts particular strain on the neck, shoulders and upper back. Sleepless nights don’t help. Postnatal massage can ease the achiness of it all and soothe rattled nerves. PLEASE NOTE: If you are considered to have a high-risk pregnancy we will need a note from your doctor before we can perform prenatal massage. 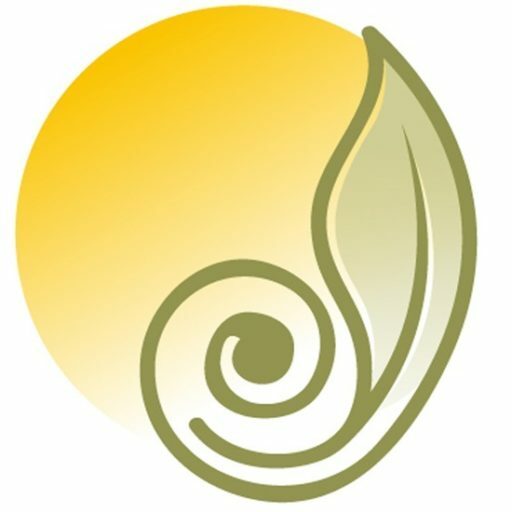 An oncology massage is a client-specific, customized massage session designed to meet the unique and changing needs of someone in treatment for cancer or with a history of cancer treatment. When you receive an oncology massage, you receive traditional, established massage therapy techniques that are adapted to your unique health situation. The changes that might be made will be related to pressure, positioning and areas of specific compromise or concern like mediports, bone metastases or skin reactions to treatment. Manual lymphatic drainage (MLD), sometimes called manual lymphatic therapy, uses light touch to move excess lymph and fluid out of the tissues and back into the lymphatic vessels. MLD reduces/eliminates swelling and pain from injuries, post-surgical situations and chronic swelling conditions. MLD effectively treats a wide range of health conditions, injuries and post-surgical situations where swelling and pain are present. Any type of chronic swelling in the tissue is referred to as lymphedema. Oftentimes, patients will experience postoperative lymphedema following a mastectomy or other oncology-related surgical procedure. MLD is often implemented to help alleviate excess fluid and help the healing process by decreasing bruising and swelling, increasing comfort. Hot Stone Massage is a massage technique that uses water-heated, smooth basalt stones to relax and massage sore muscles. The stones are never set directly on the client’s skin but are used as an extension of the massage therapist’s hands as they perform the massage, or are placed (wrapped in a towel) upon the back or torso. The heat is deeply relaxing and helps tight muscles relax more easily. While we often incorporate a bit of stretching into your massage session, our stretching sessions allow us to spend more time focusing just on lengthening shortened, tight muscles. Using various techniques, we help each client achieve more flexibility than they could by stretching on their own. In addition to improving flexibility, benefits of a stretching session include: Increased mobility and range of motion, improved circulation – increases blood flow to muscles, stress relief, reduced muscle tension, decrease risk of injury, prevention of muscle strain and cramps and improved overall health. A stretching session is best done wearing clothes you can move in such as shorts, sweatpants, leggings, yoga pants and t-shirts. Reflexology is a system of massage used to relieve tension and treat illness, based on the theory that there are reflex points on the feet and hands that are linked to every part of the body, and applying pressure to these areas affects the organs and benefits the person’s health. A Reflexology session is deeply relaxing and soothing to the nervous system, is highly effective in relieving stress, anxiety, aches, pains and increases circulation and energy levels. A session is performed fully-clothed (except for shoes and socks) on the massage table. A 30-minute session is performed only on the feet, while a 60-minute session includes work on the hands as well. Postural Balancing is a gentle and subtle therapeutic massage that affects the body in a deep and profound way while remaining safe and effective. The body encounters a lot on its journey. With any injury, big or small, the body will compensate and find a new normal to cope. Sometimes the adaptation is not ideal. This misalignment may set up the body for further injury. Think of someone who has a foot injury and needs to wear a boot. This may limit movement and will change the person’s gait and the position of their pelvis, and shoulder girdle to say the least. Postural Balancing can bring you back into balance! This helps with pain reduction and creates an environment for healing to take place. Postural Balancing draws on many proven techniques, integrating Myofascial Release, Craniosacral Therapy, Trigger Point, and Swedish Massage, to name a few. Postural Balancing has helped a variety of clients. Whether you have neck, jaw, shoulder, lower extremity or back pain from hours at the computer, work habits, child rearing, stress of daily living, are an injured weekend warrior, or lack flexibility, this technique can help you. Clients with chronic illness and cancer appreciate the profound sense of well-being, lower anxiety and depression, and better sleep after receiving Postural Balancing. The treatment relies on the body’s own internal wisdom regarding what it needs. This combined with the gentleness of the approach makes Postural Balancing a good choice for many ailments and situations. There is no need to be undressed for this massage. It is recommended to bring shorts and a t-shirt to change into. Sessions are an hour in length, the first appointment lasts 75 minutes and includes a postural assessment. Most often it can take 2-5 treatments as we may be working through layers of misalignment dating back to old injuries. The body’s tendency is to revert to old habits so it is recommended not to wait longer than 7-14 days between your 1st and 2nd sessions. Afterwards many clients feel grounded, freedom of movement, less pain, and better posture, as well as healing from current and old injuries. This innovative, multi-faceted approach to migraine relief consists of massage therapy techniques, essential oils applied to the face and pulse points and the use of specially designed cold marble stones placed at strategic areas to reduce inflammation of blood vessels. The synergy of cold stone therapy and aromatherapy helps decrease pain and blood vessel swelling and increases muscle tone. It also promotes well-being, balance, and harmony within the body. Though not always possible, it is ideal to treat migraines as soon as evidence arises. If you are aware of your triggers, you may anticipate when a session is necessary. The oils used in Cold Stone Migraine Therapy are therapeutic grade and NOT adulterated oils. Adulterated oils contain synthetic chemicals or compounds and can be harmful to the body.